I truly love this. There needs to be this kind of movement….this kind of “standing up” and letting the commercial world know what we think. Our children, our daughters, need to see this. 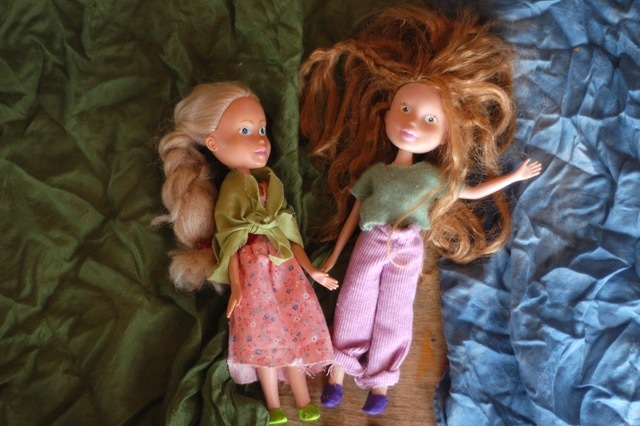 So happy Lupine made such sweet dolls who represent what life means to her and yay to mama for facilitating that. Literally one of my favorite things I’ve seen on the internet recently. This is the BEST example of recycling (and upcycling!). Go Lupine! I loved the idea! They look way better than Bratz dolls. How fun! 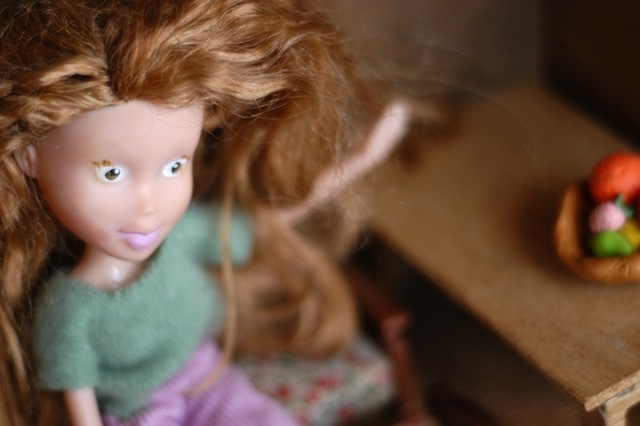 I’ve been dismayed at the fact that you can’t just buy sweet little dolls anymore. O LOVED how Lupine made the “scary” dolls so sweet. Thanks for sharing this. I’ve seen the Tree Change Dolls — I love this for so many reasons. And I love that Lupine undertook this project for herself — so lovely. ~ Wonderful Lupine, . . . what an artist you are ! The dolls are so happy now that they can relax and live in nature with you. Terrific clothes you made & so neat that they are going wild harvesting for herbs. She did such a great job! It would be fun to see some more shots of the doll house, too, if that would be ok.